Tropical fiesta flavors - pineapple, orange and cinnamon. 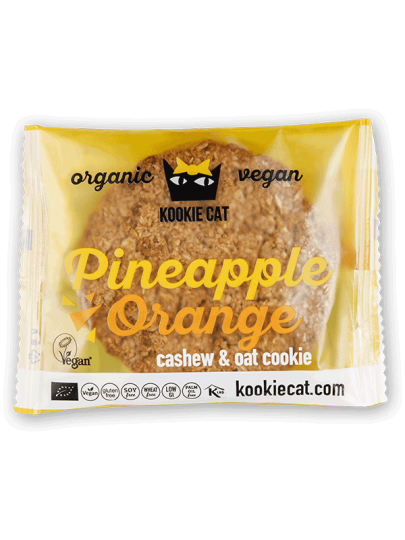 This organic biscuit impresses with a sweet and refreshing taste. gluten-free cereal *, pineapple * (22.8%), cashews *, * nectar coconut, desiccated coconut *, coconut oil *, cinnamon *, orange oil * (0.1%), salt.